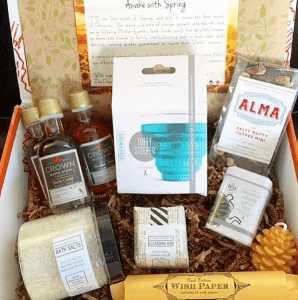 A subscription box is an assortment of niche goods that ship to subscribers on a recurring basis. 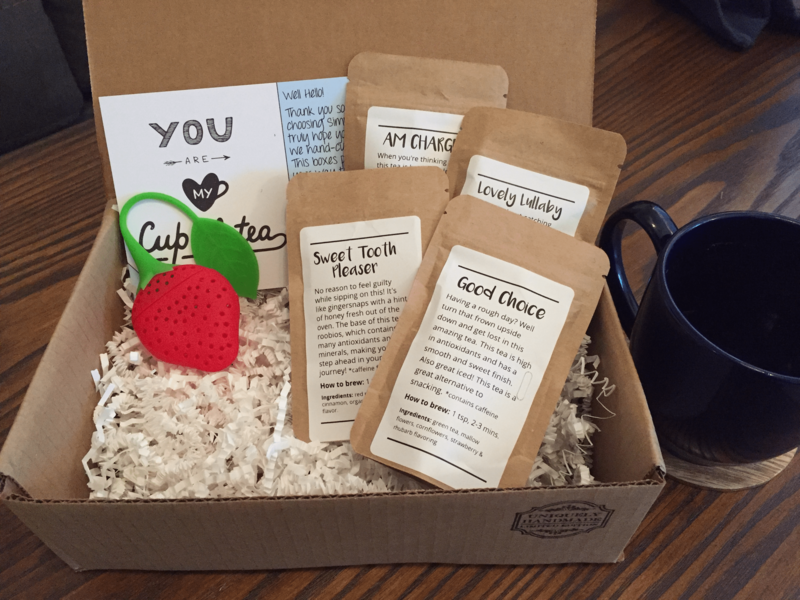 In this article, we’ll show you how to start a subscription box business in five steps. We’ll cover how to build your concept and website, get subscribers, source products and packaging, and ship boxes—all with few upfront costs. 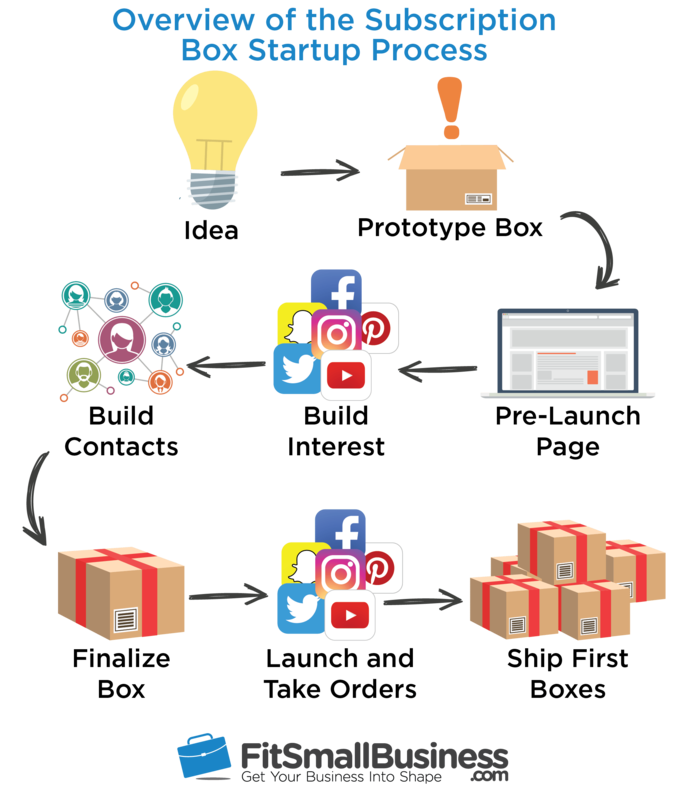 We’ve illustrated the process of starting a subscription box business with examples from the online subscription commerce platform Cratejoy, which sponsored this article. Cratejoy provides the tools you need, from pre-launch marketing to ongoing sales management, all for a low, startup-friendly fee and it has a 14-day risk free trial — no credit card required. Click on the button below to get started. What’s your passion—or your great idea? Are others passionate about it? Does this idea or passion have a large social following? Can you spot social influencers on this topic? Is there subscription box competition in this niche? What are they doing right or wrong, in your view? Can you do it better? Can you list 10 products related to the topic? How about 20? Are those 10 to 20 products low-cost or expensive? Are they large, heavy, or liable to break in shipping? If you already have a basic idea or products for a subscription box, answering these questions will help you flesh out things like the potential purchasing audience, influencer marketing, and product mix possibilities. If you haven’t yet settled on an idea, this is a great tool to explore many different concepts until you find one that has potential. With this model, you curate products that fit a concept and build a large subscriber base that makes brands clamor for a spot in your box. This method costs little to launch and can be very profitable. Both TheraBox and JerkySnob do this quite well. If you want to sell items under your brand, you can do that by making products yourself or by using private label suppliers. This is very popular for private label cosmetics, gourmet foods, and personal care subscription box brands. If you already do this, you can easily package a subscription box offering. Merkaela and Simplicity Teas use this model. Some box brands self-manufacture their products in volume. Harry’s is a prime example of this model. Startup costs and product investment can be quite high with this approach, so it’s not the best route for most startups. After you have a concept and name for your box, you can start experimenting with logos, products, and prototype box presentations. For many budding sellers, this is the best part of learning how to start a subscription box—so have fun with it. Plus, it’s helpful to have some of these elements in place for your pre-launch campaign, which we discuss in Step 3. You can design your logo yourself using simple logo design tools or you can hire a freelancer to design a custom logo that communicates your brand. Try using Fiverr, a freelancer marketplace, to find a freelancer, starting at $5. Click here to visit Fiverr. Once you have your logo, you can use a color inkjet printer to print logos and experiment with different looks on your prototype box. When you launch, logo stickers are a low-cost way to brand your box. If you already sell your own goods or source products from vendors, then you can use those in your box prototype. Or, if you’re like most startups, you plan to curate a unique assortment of goods for each box. If that’s you, just gather up a representation of the items you hope to include. Remember, this is a sample to communicate your theme, not a final commitment. Search out and buy lotions, soaps, foods in sample sizes, stress balls—whatever fits your concept. Five to seven items is a good average for most boxes. Once you have an idea of the goods you’d like to feature, test them out in different types of boxes with various fill materials. 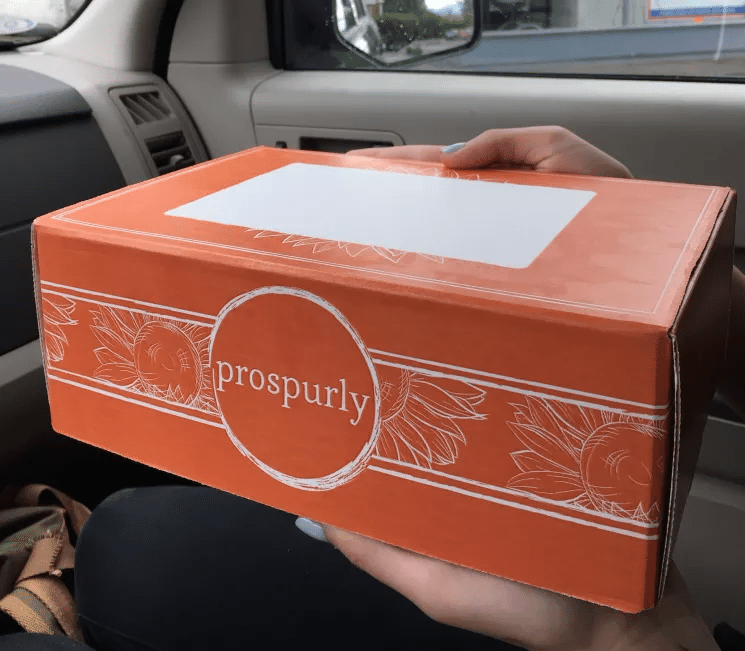 Note: Cratejoy provides free sample boxes and a low-cost box program with BoxUp—learn about it here. Try to keep your box as small as possible to keep your shipping rates low. For fill, crinkled paper is popular and photographs well. If you plan to include card inserts with product details or coupons, print samples of those. Once you have a good prototype of your sample box, take product shots of the closed box with your logo, as well as throughout the various stages of opening. This unboxing experience is very important to your subscribers, so pay special attention to how this looks and translates into images. If you are definitely selling the products in your prototype, get detailed shots. If they’re just representative of items you might ship, then don’t use close-ups. This isn’t a must-have, but brand-enhancing, mood-inspiring images can help convey your concept, and there are plenty of free resources on the web. Pixabay is a good source of free images cleared for commercial use. You can use these in website slideshows and backgrounds, and even on your printed inserts. With your idea developed and clearly represented through your logo and prototype box, you’re ready to start marketing your concept to potential subscribers in a pre-launch campaign. For that, you’ll need a website platform which we’ll explore next. Cratejoy’s pre-launch page lets you start building an email list while you plan your initial launch. 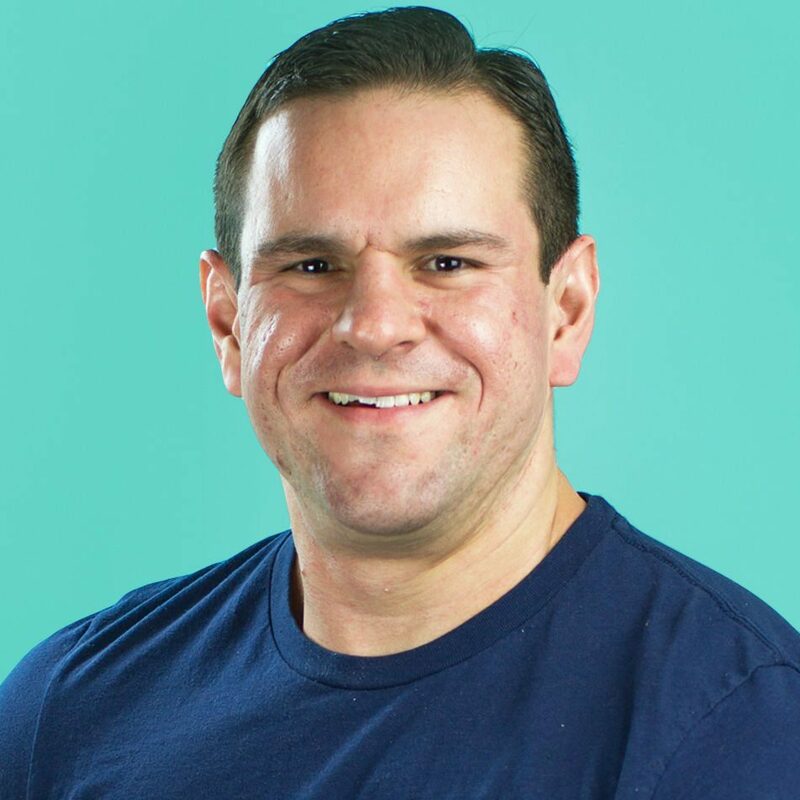 The goal of your pre-launch is to market your concept, attract an audience, and build your email list while you work out the details like product sourcing, fulfillment, and so on. This strategy provides you a ready audience that you can convert to paying subscribers, which helps fund your first round of purchasing. This is how many subscription box startups fund their first box with few upfront costs. Another benefit of this stage is it gives you a way to gauge the validity of your idea. If you gain many signups and followers via pre-launch efforts, you’re on target and can expect to launch with ready buyers. If not, you might want to tweak your idea to see if you can drum up more interest before your launch. We recommend building your pre-launch page on an all-in-one platform designed for subscription sales, like Cratejoy. That way, when your pre-launch phase is complete, everything is already in place for you to start taking orders. This one-page website provides everything you need to communicate your idea, build anticipation, and start building your contact list of potential subscribers. If you already have your logo and prototype box imagery from Step 1, then you’ll use that in your pre-launch page. Of course, you can do this with just your name and a stock photo, too. There are no rules! If you’re unsure how to do any of this, Cratejoy’s Subscription School tutorials walk you through every step. Once your launch page is live, you can start getting the word out, collecting emails, and building a social following. While your pre-launch campaign does its job, you can work on the remaining pre-launch tasks. 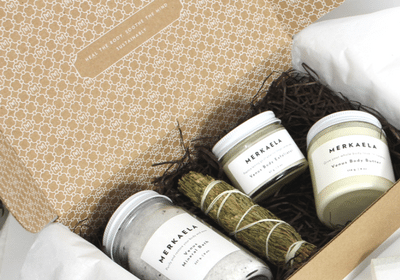 Products, boxes, and packaging all play a major role in a subscription box business, so we’ll examine these three elements together in this step. Since curated products boxes are far and away the easiest, most popular, and lowest-cost model to start from scratch, that’s what we’ll focus on here. “Curated products” is a fancy term for sourcing goods that someone else makes and putting them in your monthly collection. There are many ways you can hunt up products for your box. One of the best is to visit stores that match the image you want to build and see what they’re selling. Snapping shots of product labels with your cell phone to gather contact information is a great way to fuel early and ongoing product search. Online search, artisan festivals, farmers markets, and wholesale buyers markets also are avenues for sourcing unique items for your boxes. Learn more product sourcing strategies in Cratejoy’s Subscription School. You’ll also need to have a state sales tax certificate to buy from most of these suppliers without paying state taxes. To get that, you’ll also have to set up some sort of formal business structure, like a sole-proprietorship or limited liability corporation (LLC). Once your tax certificate is set up and you have a list of potential products for your first box, it’s time to start contacting suppliers. You can use your pre-launch contact list to ballpark the number of items you might need to purchase. Remember, if you have 500 contacts with an expected 5% to 10% conversion to subscribers, expect to ship 25-50 boxes when you go live. Whatever your figures are, use those numbers to get an idea of availability and price for each product you’d like to include in your first box. In most cases, you’ll have to pay for goods for your box. Sure, boxes with thousands of subscribers sometimes get rock-bottom pricing and even free goods. But as a startup, you probably can’t get those types of deals. Wholesale, cost, and cost-plus are the pricing strategies you’ll use to work purchasing deals. Once you start getting costs from potential suppliers, you can figure out what your monthly box subscription cost will be. Cratejoy recommends targeting a 40% profit margin, including product, box, and packing costs, to ensure success. It’s also helpful to tell suppliers that you want to share their story and market their brand alongside yours. This can earn you brownie points and better pricing. Also, let them know if you’re interested in other products for future boxes. If they think you’re more than a one-time buyer, you might get a better deal. To get this process started, check out Cratejoy’s Subscription School product sourcing webinar. Once you have your final product list together for your launch box, ask for, or purchase, some samples. You’ll need these for your next step in learning how to start a subscription box—creating your packaging plan. If you’ve been studying the subscription box market, you already know that packaging plays a major role in your overall product. Unboxing is a definite thing in the world of subscription boxes. Your goal is to make receiving your box a grand experience that subscribers look forward to and, hopefully, document and share on social media. You don’t have to print custom boxes: Stock mailers come in all shapes, sizes, and colors. Cratejoy even has standard mailers that you can purchase at a discount. Customize these with inexpensive logo stickers to get that custom look for pennies per box. 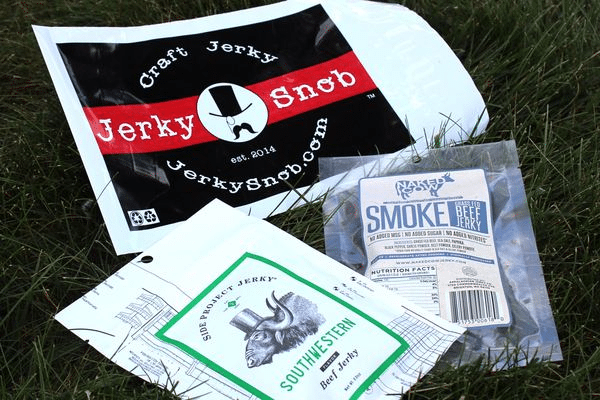 You might not even need a box: Large envelope mailers are far cheaper to ship than most boxes and work great for certain items, like JerkySnob’s sampler packs. Size matters: UPS, FedEx, and in some cases, USPS use box dimensions to determine your shipping rate. So, always use the smallest box that will safely accommodate your products. Limit fill materials: Crinkle paper, tissue, ribbon, fabric, and an array of natural fibers can be used as void fill, product wraps, and so on. Experiment with looks, but limit yourself to one to three variations to make packing efficient. Test packing time: See how long it takes to pack your box and figure out an assembly-line process to pack many orders quickly. Include inserts: Creative inserts that tell the story of each item in the box, or your journey in curating them, adds a personal touch to the unboxing experience. Coupons, recipes, how-to’s and other informational bits also make good inserts. In your startup phase, you can print these off yourself for pennies, or print larger quantities through VistaPrint. Important Tip! You’re not buying anything yet in this step, except maybe a few product and box samples. Your goal here is just to see if vendors will work with you and get pricing. The plan is not to buy products or boxes until you actually have paying subscribers, and that happens in Step Five. Once you have an idea of your combined product and packaging costs, it’s time to determine the optimal pricing for your box. Cratejoy’s Subscription Box Calculator is the perfect tool for that. With product, packaging, and pricing in place, and your pre-launch marketing building your contact list, you’re nearly ready to launch. The next step in learning how to start a subscription box is building your launch website and product listings on Cratejoy. Create your product listings: Using your finalized box and product samples, take pictures and create your product listings in Cratejoy. You can list your subscription box on just your website, but also listing it on Cratejoy’s subscription box marketplace is a great way to kick-start initial sales. Just be sure to leave your listings unpublished until you’re ready to go live. Set up your billing: Stripe, a popular online payments processor, is fulling integrated into Cratejoy and you can create an account in minutes. Or, you can connect other payment processors. Set up your shipping: Cratejoy makes it easy to add actual, flat-rate, or no shipping charges to your monthly box shipments, and to print box shipping labels. Learn how this works in Cratejoy’s shipping tutorial. Connect your domain: Your Cratejoy website can go live with the Cratejoy-provided domain, which looks like this: yourboxname.Cratejoy.com. If you want your own domain: yourboxname.com, you need to set up a domain with a service like GoDaddy and connect it using Cratejoy’s easy how-to guide. Once you’ve completed this step in learning how to start a subscription box, it’s time to make your website live and publish your listing to Cratejoy’s sales-driving Subscription Box Marketplace. Soon, you’ll be taking subscriptions and preparing your first box shipment. We’ll run through that entire process now. 1. Select your order cutoff and box ship dates in Cratejoy: These dates need to allow time for orders to come in and for you to get boxes packed and shipped. Learn how to time it all correctly. 2. Launch! Make your site and Cratejoy listings live: Press the button and you’re ready to start accepting subscriptions. 3. Get the word out: Send an enticing launch email to the list you’ve been building, then post that you’re open for business on social media. Be sure to highlight your order cutoff date and your expected ship-out date so new subscribers know what to expect. 4. Make your message enticing: Offer Launch Box coupons and founding member forever discounts in your emails and posts to boost initial subscriber counts. 5. Watch subscriptions build: Watch subscriptions and payments roll into your Cratejoy dashboard. As the cutoff date nears, try to get last-minute conversions. Send additional emails to the names on your list that haven’t yet subscribed, and post the cutoff date on social media. 6. Place orders for products and boxes: On the cutoff date, you have your subscriber count for your Launch Box so you can order products, boxes, and fill materials. Plus, you have money to pay for it all. Smart planning! 7. Packing party! When your product and box orders arrive, have a packing party to get all of your boxes ready to ship. Note: As your subscriber base grows, this becomes less of a party each month. When that happens, it’s time to consider outsourcing this task to a fulfillment partner. Because your customers will expect to receive their box at the same time each month, you need to make sure boxes will be fulfilled and shipped seamlessly especially as your business grows. Try using our recommended fulfillment company, ShipBob. It has a network of fulfillment centers across the US to ensure your customers will receive their boxes on a regular basis and in a timely manner — no matter where they live. Click here for a free quote. 8. Run shipping labels and ship boxes: After boxes are packed up, run your shipping labels from Cratejoy, affix these to your boxes, and get them your carrier. After you run shipping labels, Cratejoy automatically updates your subscribers to let them know that their box is on the way. It’s also fun (and great marketing) to document your entire launch and first box process and post it to your social channels to create anticipation. Use these posts to entice subscribers into share their unboxing experience online, too. This personalizes the experience and directly connects you to your new audience. And that, my friends, is what subscription box marketing is really all about. The subscription box market is booming and there are plenty of opportunities for new sellers to get on board. Learning how to start a subscription box business is detailed and takes careful timing to get all of the pieces working together, but it’s not too hard to get right. Plus, it’s one of the few e-commerce product-based business models that you can start with very little cash up front. Since you don’t need to purchase goods until you have paying subscribers, it’s a fabulous way to test a concept before investing much time or money. When you’re ready to bring your idea to life, test the waters completely risk-free with Cratejoy’s 14-day free trial or sign up for their free live weekly webinar to learn more. The leading subscription box provider will equip you with the tools you need to launch and run a successful subscription box business. 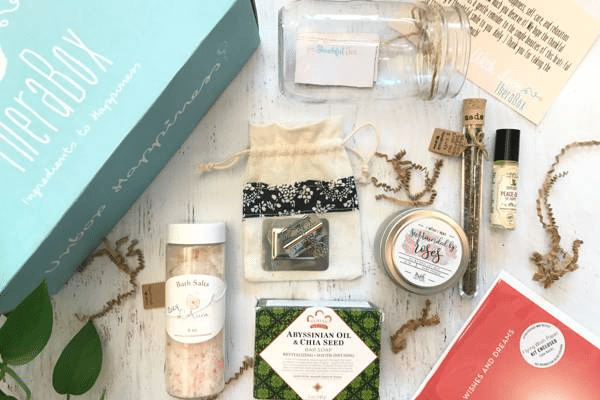 Do you run your own subscription box business? We’d love to hear how you got started, which platform you use, and what you do each day to make it a success. Please share your insights in the comments below.